Troy has over 25 years of experience in Horticulture with emphasis in landscape design working with both residential and commercial customers throughout the Quad Cities. The most enjoyable part of his job is building relationships with his customers and creating landscape plans that exceed their expectations within their budget. He thrives on developing solutions for “challenging” landscape areas. As co-owner of Heritage Landscape Design Inc., Jamie is the communication and marketing link for the company. She oversees all financial and personnel functions and works closely with the sales team and customers to ensure projects run smoothly. Justin has been with Heritage since 2004 and is the manager at our nursery location in the Heritage Subdivision off of 41st Street in Moline. Justin oversees the care of the plants and keeps the hardscape materials organized and in stock for our customers and landscape projects. He also oversees all of our landscape and nursery crew members to ensure the upmost customer service and quality. He has a vast knowledge of plant material, landscape design and the variety of hardscapes. Visit our nursery and view our many displays and quality plants. Justin and his knowledgeable staff would love to answer any questions you may have and assist you with your purchase. Myk joined the Heritage Landscape Design team in 2005 after graduating from Augustana College. He started as a design technician under Troy Lewis and is now the Senior Project Manager. Myk has designed many landscapes around the Quad Cities area including residential, commercial and community projects. 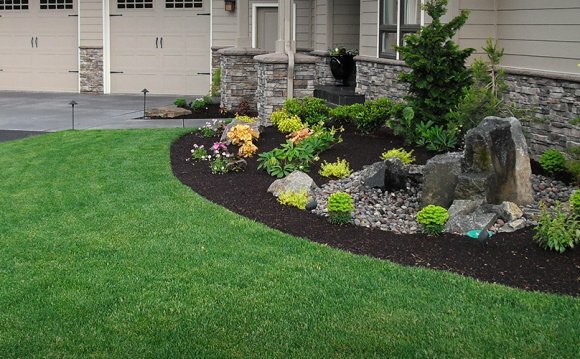 He enjoys being a part of a company where every position is consulted and feedback is utilized to give customers functional landscapes with unique appearances. You may also see Myk speaking to local groups or volunteering at charity events. Dave graduated from Iowa State University with a Bachelor’s of Landscape Architecture Degree. He is a licensed Landscape Architect in the state of Iowa and Illinois. Dave worked in the landscape design/build industry in Kansas City for 15 years. He has been working in the landscape design/build industry in the Quad City area for the past 8 years. He brings many years of experience in residential and light commercial projects pertaining to plantings, patios, retaining walls, and drainage and irrigation systems. Kyle graduated from Iowa State University with a Bachelors of Science degree in Horticulture with an emphasis in Landscape Design. He began working with the Heritage Landscape Design team in 2009 as a design technician and is our design expert on staff. He is currently a Project Manager/Designer and successfully manages projects from the initial contact through the installation phase. Kyle enjoys spending time outdoors with his dog. Mitchel has been with Heritage Landscape Design since 2012. He graduated from the University of Illinois with a Bachelors degree in Horticulture. He began with Heritage Landscape Design on the production team, and has increased his knowledge to become a valuable member of the design team. He looks forward to creating a unique layout for your landscape needs. Kevin has been with Heritage Landscape Design since 2008. Prior to joining our team, Kevin expanded his expertise of the industry by studying at University of Wisconsin in the fields of Landscape Architecture and Natural Resources. Today, you can find him at our nursery location coordinating all product deliveries to both project and residential sites. Kevin also is a valuable asset in maintaining the progress of nursery production. Please, feel free to drop by our nursery or contact Kevin with any inquiries on product delivery or planting questions. Linsay is a very valuable asset to Heritage Landscape Design, and has been with us since 2013. Your first experince with us may pass through her and her bubbly personality. She keeps the office running smooth and assists with the accounting duties. When she isn’t in the office, she likes to spend time in her garden.